Community. It's a buzz word in our organization. Often times taking on a healthy lifestyle can require a lot of vulnerability and challenge. That's why we believe in the community. To push and grow one another. To share in the adventure, victories and the challenges. Your involvement level in the community is up to you. We have 3 levels of community involvement. Participant, Council Member and Leadership Team. An example of a past collaborated event for participants with APB! 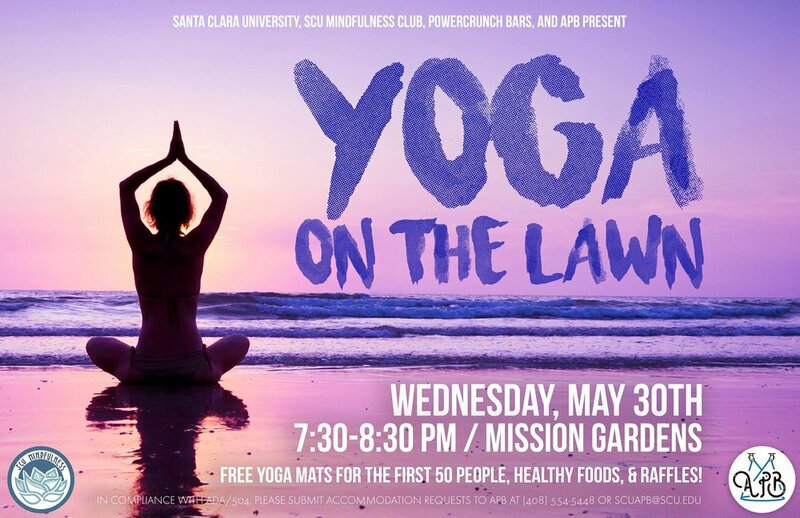 From the moment you talk to us about health style choices, come to one of our events or simply come to SCU as a student, we consider you apart of our community. We serve you. If you simply want to come to the events, seek advice and hangout with other health living broncos then this is the right level of involvement for you. Click here to see our up-incoming events! The Council is a group of students really committed to pushing and growing one another to live a healthy lifestyle, and having fun! We hangout together, cook together, sweat together, and more. Council members are not required to, but are encouraged to help plan events, organize hangouts, and direct the club. The Council elects the leadership team and meets biweekly at 8:45pm on Tuesdays. Anyone can be a council member! All you have to do is come to our bi-weekly meeting and reach out to Alex Perlman (aperlman@scu.edu) so that he can add you to the groups pages. The Leadership team is elected by the Council and runs the entire club. Leadership team members typically have some sort of fitness training or a long history of fitness. From planning creative events to teaching yoga classes, they are the driving forces of health change on campus. To learn more about the team and who you can reach out to click here.